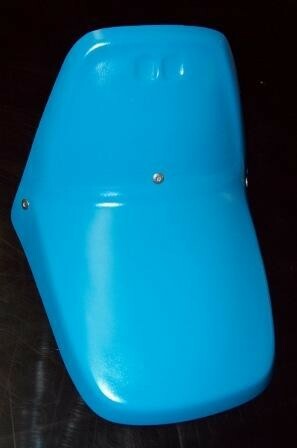 1978-1985 Honda ATC70 ATC 70 Front Fender. 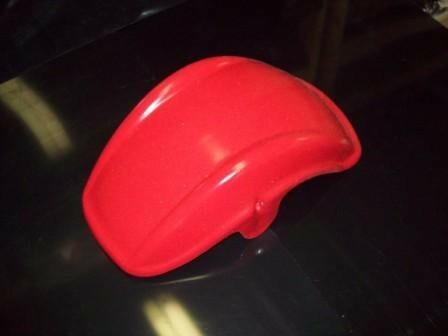 1983/1984 Honda ATC 250R Air Scoops. 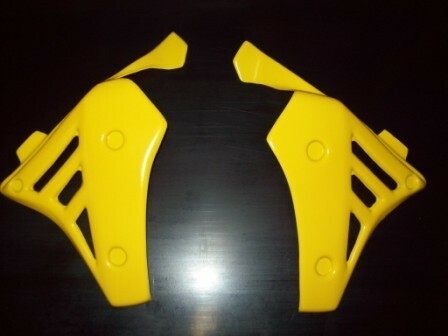 OEM replica shrouds. 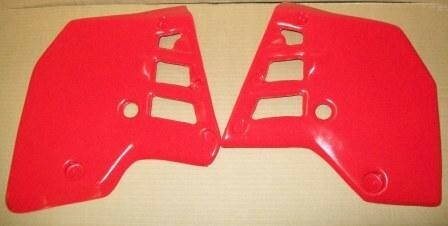 1983/1984 Honda ATC 250R Super Air Scoops. 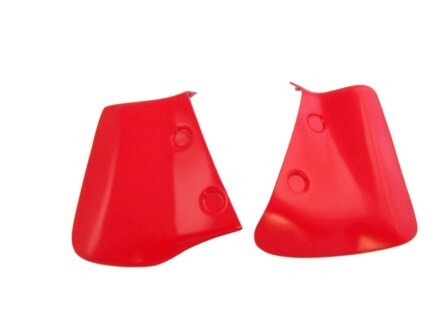 These are aftermarket shrouds that were designed to flow more air into your three wheeler. 1984/1985 Kawasaki KXT Tecate Front Number Plate. 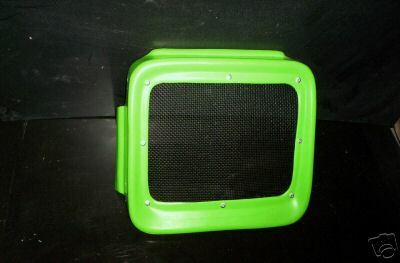 Available in green, red, or white. Click on the item to select a color. 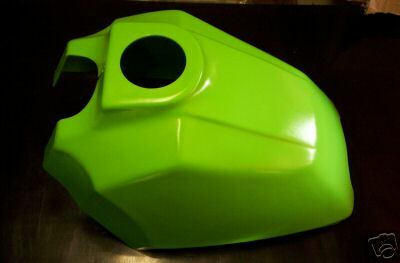 1984/1985 Kawasaki KXT Tecate Tank Skin Cover. Available in green, red, white, or black. Click on the item to select a color. The finish is not perfect. It has a few ripples in it. They are not available any other way. 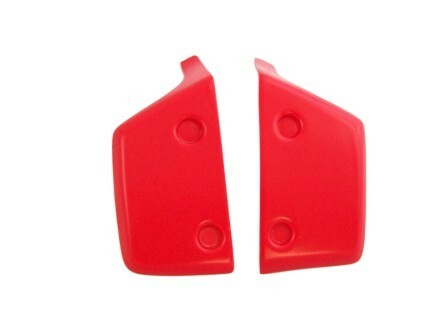 1984/1985 Yamaha Tri-Zinger YT60 TY 60 Front Fender Number Plate. This is a two piece design. Due to the vacuum forming process, we had to make a separate piece to rivet to the underside of the fender in order for it to mount correctly. 1985/1986 Yamaha Tri Z 250 Radiator Shrouds. 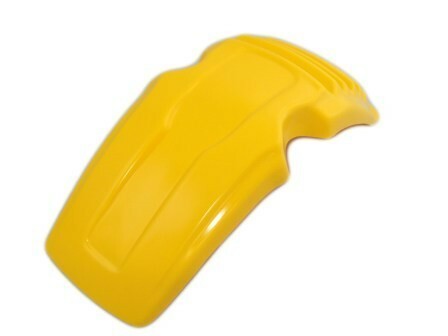 Available in yellow, black or red. Click on the item to select a color.